This restaurant is permanently closed. "It is with great sadness that we announce that Forepaugh's Restaurant is closed for business. Thank you for 11 great years!" 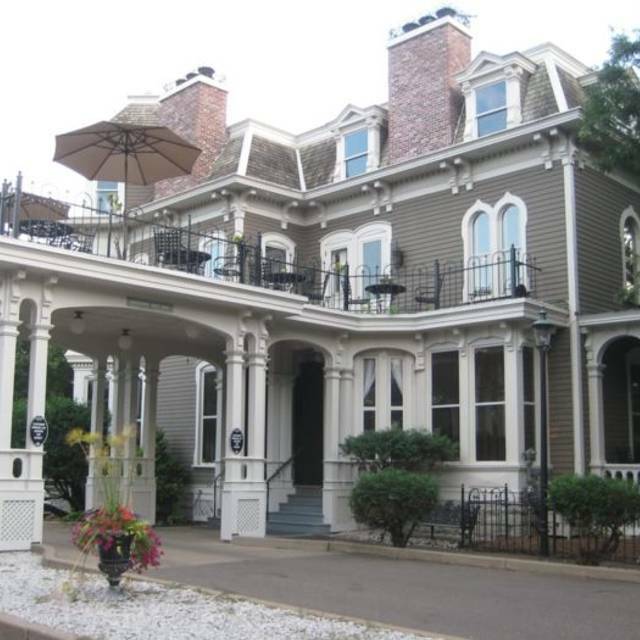 Forepaugh’s Restaurant is located in a beautiful and historic mansion overlooking the lovely Irvine Park. Just outside Downtown St. Paul, Forepaugh's is walking distance to the Excel Energy Center. This gorgeous, multi-functional, state of the art venue is disguised as a charming and quaint Victorian home. The 8 intimate and artfully decorated dining rooms straddle the past and future gracefully, featuring both period décor and brilliantly conceived, cutting edge New American Cuisine. The wine list is expansive and supported by a wine cellar/chef tasting room that is available for small, intimate gatherings. The comfortable and cozy bar features the finest in distinctive liquors and specialty drinks. And the service is excellent. Join us for a celebration or a romantic dinner or a drink before the game or concert. Friday and Saturday 5pm-10pm (last seating). Forepaugh's does cater to outside venues. Please call Mimi at 651.224.5606 for more information. Forepaugh's offers valet parking or complimentary parking in our large lot across the street next to the Ramsey House. We are just a short walk to bus stops on 7th Street. Our all request, sing along piano bar features the talented Dan Chouinard on Wednesday evenings from 7 to 9 p.m. Seating is first come, first serve. Due to a very busy holiday season, we do not operate the piano bar every week, so please check our Facebook page for updates. Our chefs provide an array of cheeses with grapes, dried figs, pears, and apricots, Tasmanian peppercorns, an herb bouquet, and sourdough crostini. This plate is as beautiful as it is delicious! Perfectly seared scallops served with quince jam, couscous, crispy speck chips, micro arugula, vermouth buerre monte apple. 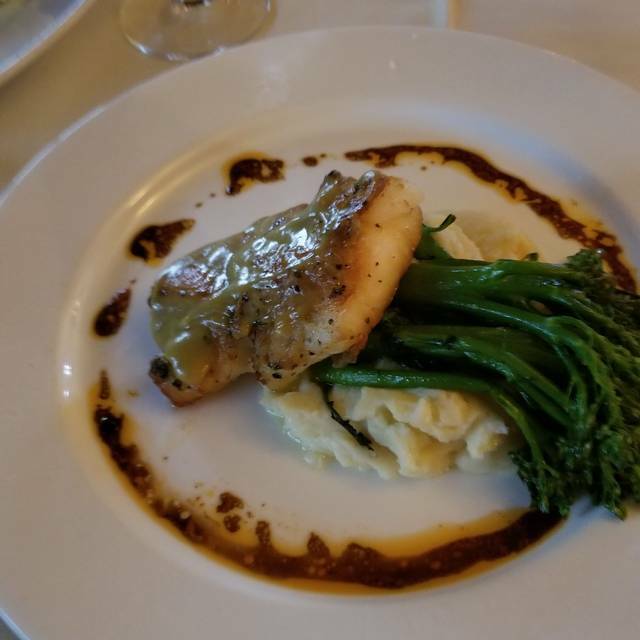 This entree comes highly recommended by our staff especially when accompanied by a glass of Rombauer Chardonnay! 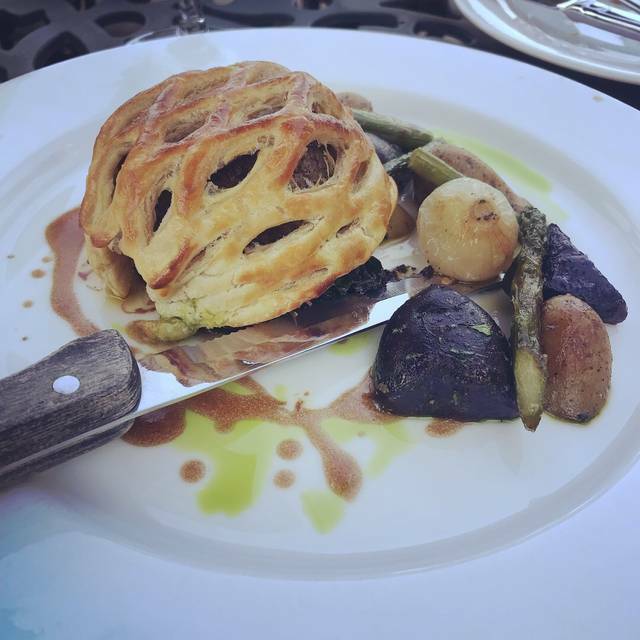 A triumphant marriage of filet mignon, mushrooms, Swiss chard and our house made puff pastry lattice, this showstopper is celebrating a 10 year anniversary as our signature entrée. It comes with potatoes, tomato raisins, herb oil, bordelaise sauce and fresh herbs. A hard to find delicacy in Minnesota! Wholesome and hearty, our duck is seared and crispy on the outside and juicy inside. It's served with braised salsify, sauteed kale, pomegranate seeds, kumquat, and duck sauce. This is heaven on a plate! Add a glass of Shea Pinot Noir for the ultimate experience! Delivering the epitome of steak flavors, our generously marbled 14 oz. Ribeye is accompanied by potato croquettes, onion coulis, green butter and wild mushrooms. Best with Chateau Montelena! Our house made pasta is tossed with brown creamy Norcina sauce, cornichons, red peppers, meyer lemon and sun dried tomatoes. It's the decadent meatballs that make this dish our General Manager's favorite! Vegetarians will delight in our house made sauteed herbed gnocchi tossed with seasonal vegetables! Forepaughs abruptly closed and our reservations were cancelled. For the price of the food, I would have expected better service. Our server seemed to be most concerned about persuading us to purchase more, and when we said we were too full, she just walked away and seemed upset. I was just surprised by her behavior, I've never had a server act that way at an upscale restaurant. The food was really great and the ambiance was nice as well, I was only disappointed by our service. We hadn’t been here in years and on a whim decided to go. We’re so glad we did! The host was lovely, the decor beautiful, the music delightful, the service perfect and the food was fantastic! We will definitely be back. Fourpaugh’s is such a beautiful restaurant with lovely ambiance! From the moment we stepped in, the host made the whole visit spectacular. He is such a welcoming host and even supplied our group a tour of the wine room. Everything was great except for being stuck next to literally the two loudest tables in the entire restaurant, but that was more bad luck than anything. Food was great and the ambience was really cool. Great food and amazing service. Server patiently answered our questions about the historic building and encouraged us to look around. Amazing experience at Forepaugh’s. Recommend upper class dress ware. The staff was wonderful and service was amazing. 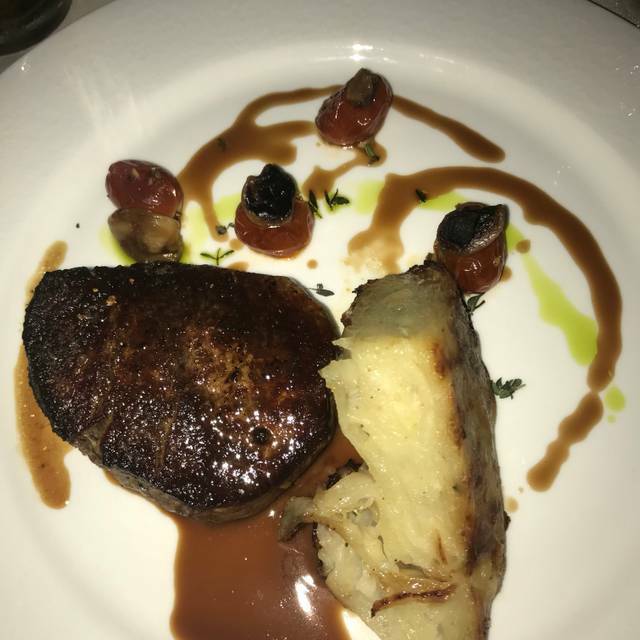 Dinner was expensive but it was well worth it, I had the filet which was simply the best steak I’ve ever had and my girlfriend had the meatball stroganoff which was also very good. 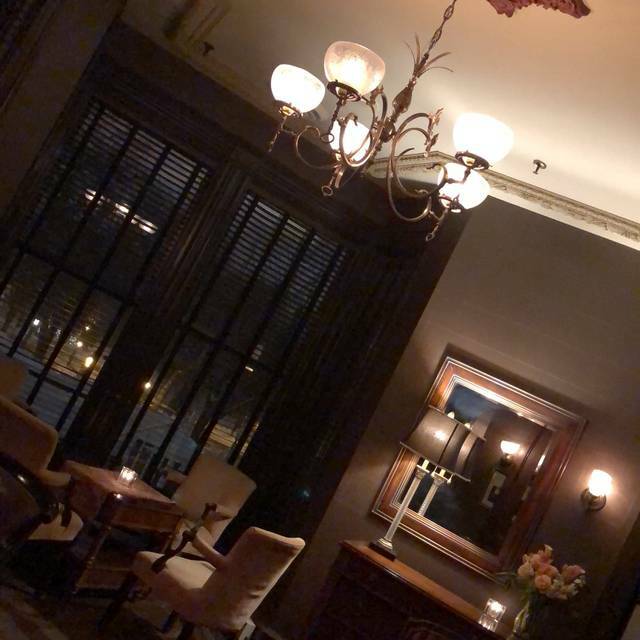 I definitely want to take her back there again, the ambience was amazing and to top it off the host took us down to the wine room to take a picture of our memorable night. We were both extremely delighted. 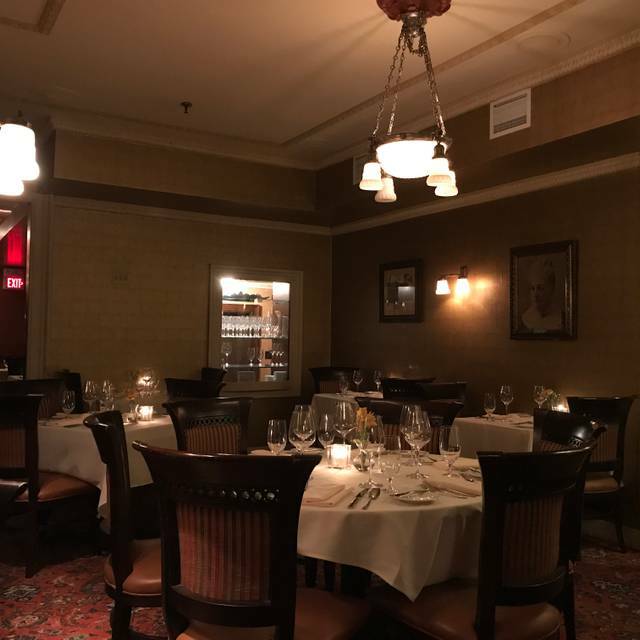 As a group, I can say that Forepaugh’s gave us one of the BEST dining experiences we have ever had in St. Paul. From start to finish, everything Forepaughs had to offer, was on-point. This is one of my favourite places to go to celebrate. The food is delicious and the service is spectacular! Great place for a date night, very romantic. John was wonderful he gave us a tour of the house and told us some amazing stories about the place. Very nice atmosphere and amazing food! Excellent service and a delicious meal. The ambiance was really neat. was great they help us out with the menu and the conversation was great. Walleye dinner was probably the worst I have had. Heavy mushroom saice does not go well with a flakey fish. Wife’s filet steak was drier than should have been. Absolutely delicious. Highly recommend their signature dish, the Beef Wellington and their dessert, the deconstructed banana cream pie. The building itself is gorgeous and well kept up. The service was phenomenal at making us feel welcomed. The food also came out very quickly (maybe 20 minutes). Great place to have a nice, relaxing dinner. Food was outstanding. Wine was good. Service was beyond exceptional. The only hitch we had was, we were a little early so we sat in the bar and had a drink. They staff must have forgot about us. I went to the hostess stand to see if they were running behind and was apologized to, and sat immediately. The general manager bought us an appetizer for the oversight. 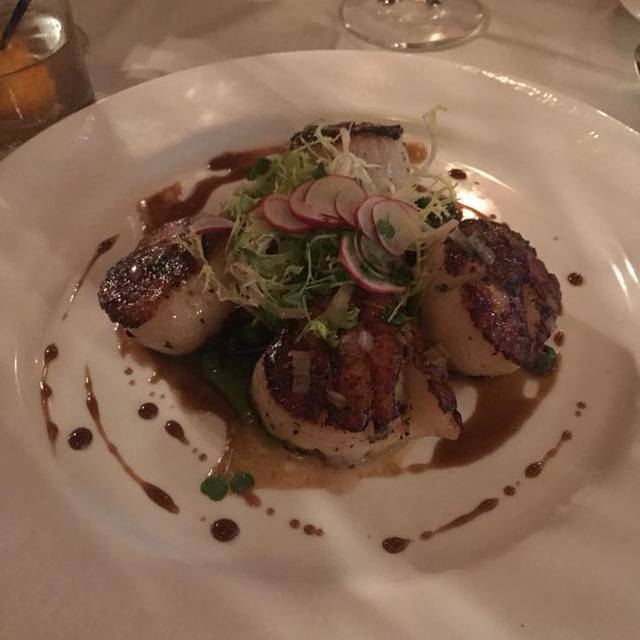 Kudos to the staff at forepaugh’s for an excellent dining experience! Consistently great. Love their unique offerings, as well and the proven old school favorites. The staff is amazing and make your feel special. Valentine’s Day dinner. Venue is unique and interesting and I’ve wanted to try it for some time now. Food was overpriced, which is ok for Valentine’s Day, but I’d expect it to at least be prepared properly. Steak was cold and not all the items were served as the fixed menu said they would be (no English Peas for example). 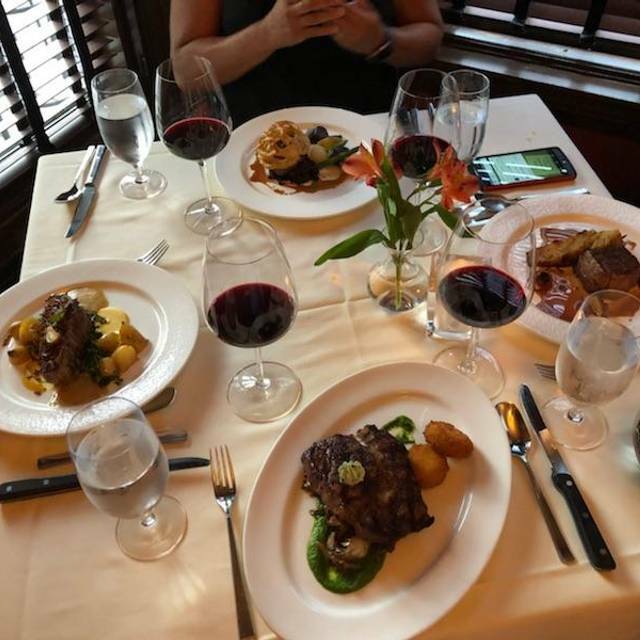 No one asked if we were happy with meal, we had an 8:00 reservation and folks seemed more focused on cleaning up to go home than providing the attentive service a $300 plus ($100/plate plus wine and tip) dinner would assumingly receive. Would not come back as there as many other better options for that price point. Making reservation online was very helpful, the staff called us to confirm and also share a bit about the menu. The email reminders were greatly appreciated. We were warmly greeted by John, who was most welcoming and helpful in showing us around and to our table. We were a party of four, and we sat on the second level in a well lit and spacious room. Although we were surrounded by other tables, it didn't seem too congested and there were plenty of space for privacy. Matt, our server, was quick to go over our menu and wine pairings and answered any questions we had. The course meal was timely paced, and we LOVED all the wine selection for each dish. Great presentation and portion, food was phenomenal, and service was attentive and diligent throughout. Overall experience was fantastic, we enjoyed our time together there. Complimentary to the kitchen staff for a wonderful course dinner, and to the serving and hosting staff for being patient and taking care of our group. We look forward to our next dining experience with you all again. Thank you for making our special evening a memorable one. Great Valentine's Day menu of 6 courses. Each course was better than the last. I'm not a dessert person and I loved the truffles! The lobster bisque was the best I ever had. Huge chunks of lobster in it. So decadent!! Great wine pairings and the service was impeccable. Highly recommend. Beautiful composed dishes, an exquisite treat for tastebuds. So happy that we spent our date night here! Exploring the magical Victorian house was like taking a step back in time. Great ambiance. Very quiet and enjoyable. Food was great as well. Very nice dining experience for a special occasion. Food is good, but portions are on the small side. Flawless service. On the noisy side. We will be back. It’s not just a place to eat it’s an experience. Everything about it was a step above anywhere else I had ever dined before. Lived up to the hype, will be our new special occasion spot. Amazing! Matt was outstanding and most professional job as a server. He made our 55th anniversary a perfect evening. The general manager, Mimi, seated us exactly at 6:15, which was our reservation time. Great experience. Staff was very friendly and welcoming. Food was fantastic! Dates/Bacon appetizer was delicious and had order of duck for entree and it was perfect. Highly recommended. Interesting back story to the restaurant as well. We came to Forepaugh’s for dinner before a concert. We were NOT disappointed! What a great history the property has as well. We will be back for sure! Thanks again!! The food was not up to what we have come to expect. It felt like maybe the kitchen had an off night. Portions were smaller as well. We will be back though. Last night was just an off night. This was by far the most amazing restaurant. The food was tremendous. The server was divine. Good food and service but pretty expensive for what you get. 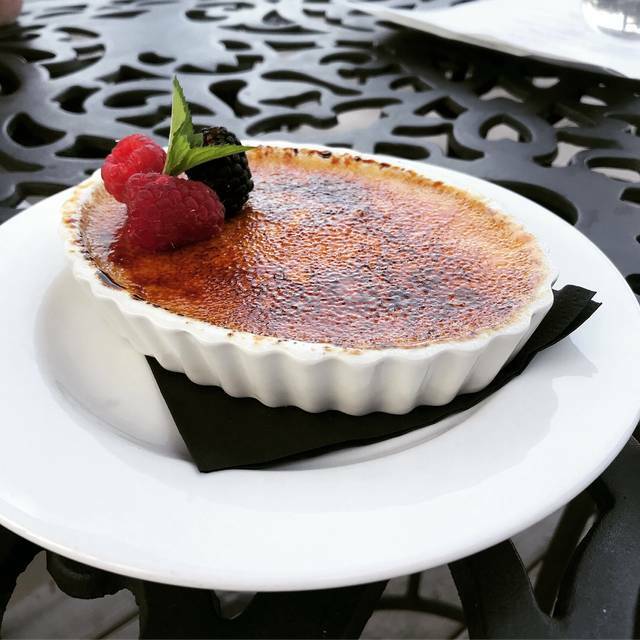 Outstanding food, excellent service and staff in a beautiful setting. My niece and I were greeted by John who made us feel totally comfortable. We enjoyed all of the amazing flavors of the walleye & scallops dinners that they so kindly split for us. Of course the setting in the beautiful Victorian house is lovely and we enjoyed meandering throughout the many rooms after dinner. It was a special night in a special place!!! The food was wonderful especially the deserts Sophia’s Honey cake was wonderful a must try.